We needed some masking tape, so I went to Staples.com, placed an order, and planned on going to the store the next day to pick up in person. 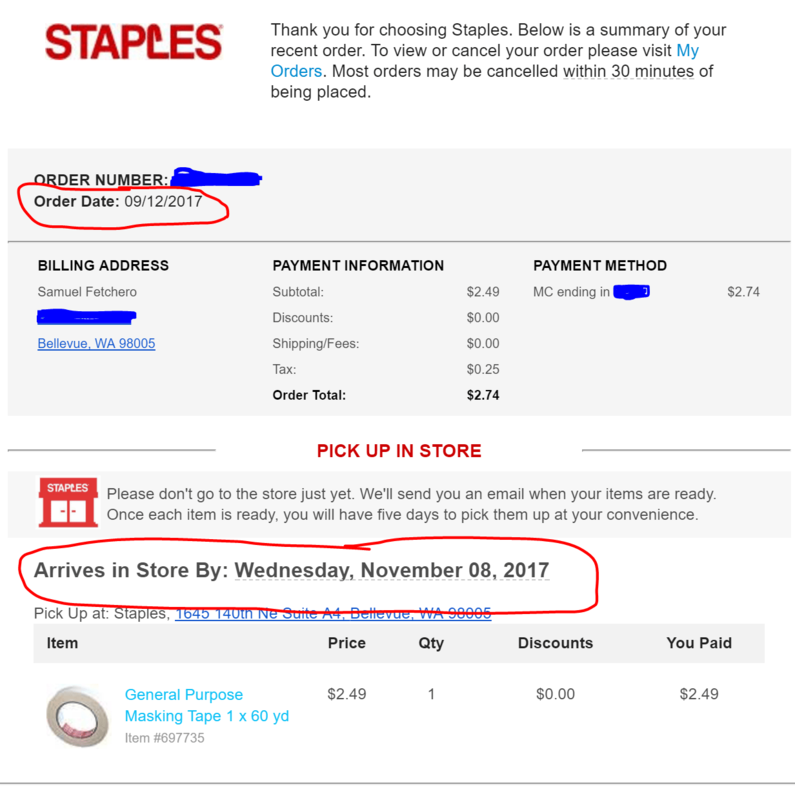 When I double-checked my receipt, I realized there was a problem – the pickup date was in 60 DAYS. This isn’t going to work for the modern economy.